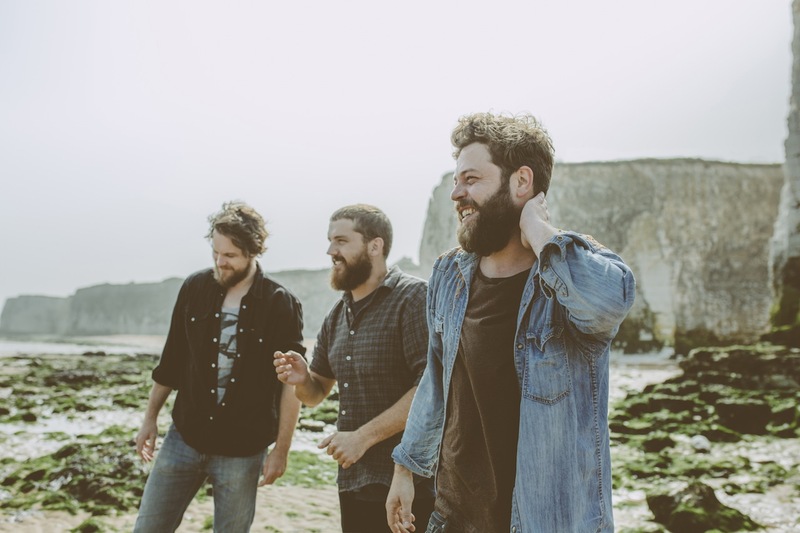 London trio Bear’s Den come to Seattle on Wednesday for a headlining appearance at the Crocodile. The folk-ish band released their debut album, Islands, just in October, and they’re in North America throughout November. Islands includes songs previously available only on their EPs, Agape and Cardigan, so you’ll want to get a copy of that for sure. The band is Andrew Davie, Joey Haynes, and Kevin Jones. Haynes plays banjo, Davie guitar, and Jones drums – they all sing. Remember their names. I think these guys are going to be huge. So check them out at what’s a relatively intimate venue for what should be in store for this group. This is elegant stuff. For more details and tickets, head over to the Crocodile’s event page. Written by: Dagmar on 11/04/2014. This entry was tagged bear's den, posted by dagmar. Bookmark the permalink.